TCM is paying tribute to the late director Stanley Donen with an interview and a Monday night lineup of his musicals (the photo above shows Donald O'Connor, Debbie Reynolds, and Gene Kelly in Singin' in the Rain). There's also a great late-night lineup of newspaper-themed screwballs on Thursday and a fantastic noir from director Carol Reed and actor James Mason on Sunday. Note: All times are ET and the highlighted text has links to full-length articles. Here's a link to the complete schedule for March 18-24. 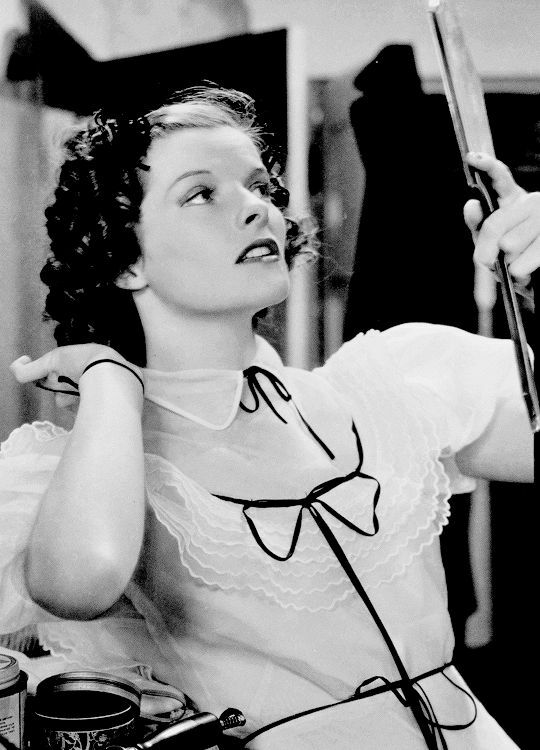 TCM's daytime lineup of films featuring debutantes brings two films from Katharine Hepburn. The old Hollywood legend plays an independent aviator who falls hard for the very married Colin Clive in Christopher Strong (1933) at 9:30 am (this movie was made by pioneering director Dorothy Arzner). Later in the day, Kate plays the spunky Jo March in the 1933 adaptation of Little Women at 4 pm. (You can read about both these movies here). Stanley Donen, who directed some of the greatest musicals ever made, passed away on Feb. 21 at age 94. TCM is honoring Donen and his wonderful body of work on Monday starting with his 2006 interview with former TCM host Robert Osborne at 8 pm. The interview is followed by Donen's best-known film Singin' in the Rain (1952) at 9 pm and two more collaborations with Gene Kelly: On the Town (1949) at 11 pm and It's Always Fair Weather (1955) at 5 am. There's also Seven Brides for Seven Brothers (1954) at 1 am, which was one of the biggest musical hits of the 1950s, and the charming Royal Wedding (1951) at 3 am, in which Donen got to work with his hero, Fred Astaire. 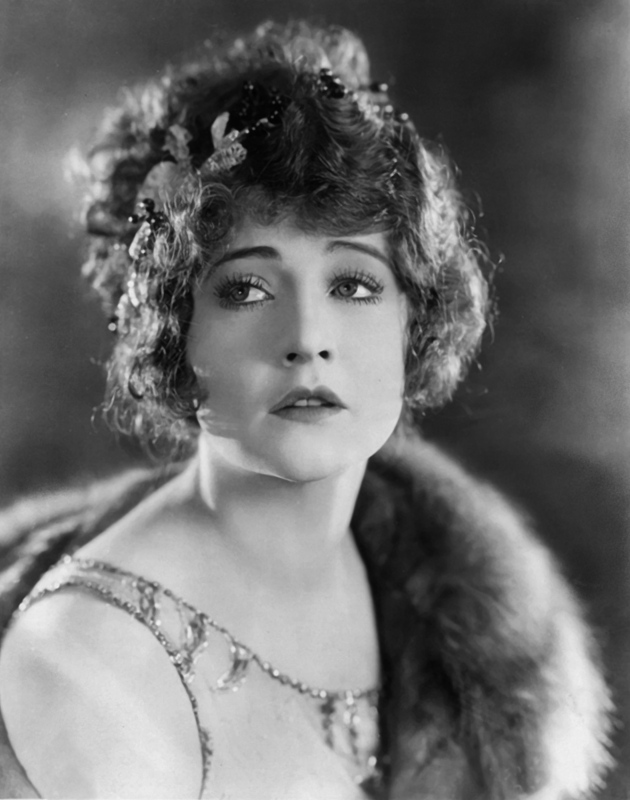 Actor Betty Compson was born March 19, 1897, in Beaver, Utah. A popular star in silent movies she continued starring in sound films like the early talkie Weary River (1929) at 11 am Tuesday, the pre-code soaper The Lady Refuses (1931) at 7:15 am, and the musical On with the Show (1929) at 2:15 pm. Compson also has a small part in the hilarious Damon Runyon comedy A Slight Case of Murder (1938) at 5:30 pm. Edward G. Robinson plays a former bootlegger who tries to go straight after the end of Prohibition. 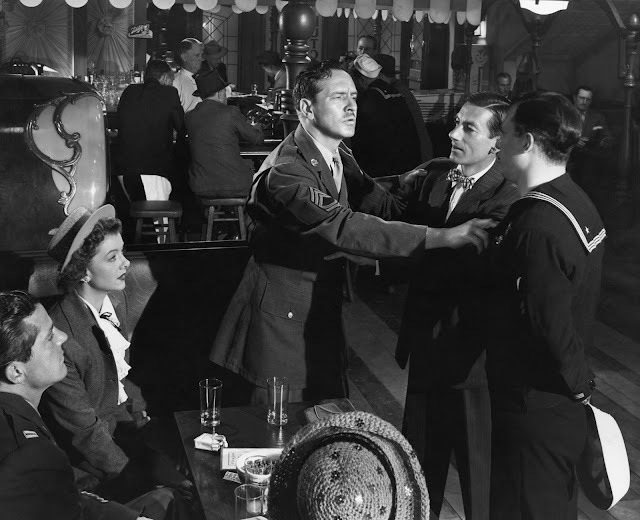 The Best Years of Our Lives (1946) at 8 pm Tuesday, March 19: Star-of-the-month Fredric March earned his second best actor Academy Award for playing a World War II veteran who has difficulty adjusting to civilian life after the end of the conflict. 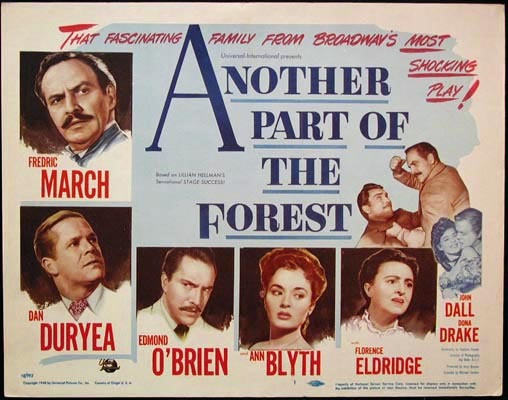 Fellow classic-movie blogger Patricia Nolan-Hall of Caftan Woman recommends Another Part of the Forest (1948), which is airing at 11 pm Tuesday as part of Fredric March's star of the month tribute. 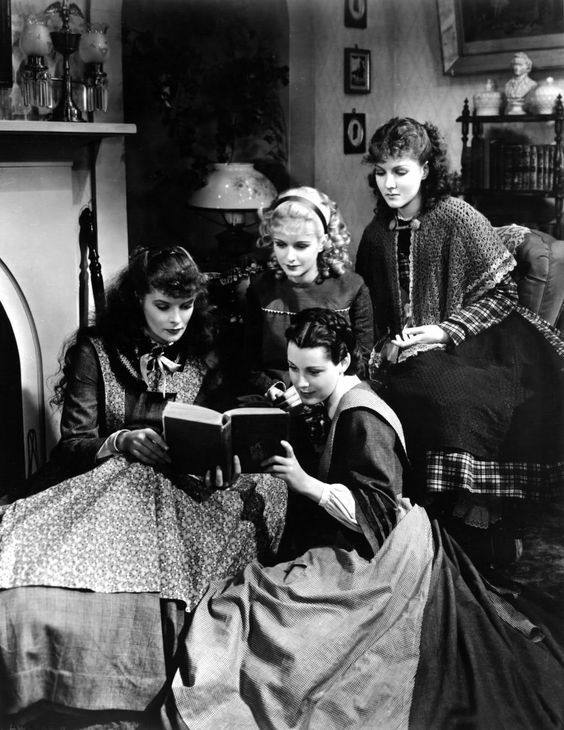 You can read Paddy's thoughts about this fascinating prequel to The Little Foxes (1941) here. All Mine to Give (1957) at 4:30 pm Wednesday, March 20: Grab your hankies for this nostalgic story about a group of orphaned siblings who are looking for a place to stay during the holiday season. Technically, this is a Christmas movie, but it's a great family film for any time of year, especially if you're a fan of Hallmark Channel shows like When Calls the Heart. Part of a daytime lineup of movies about small towns. Alice Adams (1935) at 2 am Wednesday March 20: Katharine Hepburn gives a great performance as a small-town social climber who attempts to win over a wealthy man (Fred MacMurray). Part of a prime time and late night lineup of films about "Alice" characters. 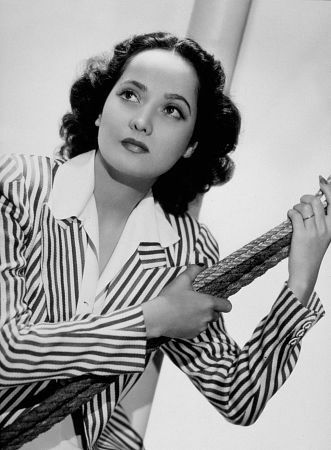 'Til We Meet Again (1940) at 9:15 am Thursday, March 21: This remake of One Way Passage (1932) isn't quite as potent as the Kay Francis-William Powell original, but it's still worth watching execution-bound criminal George Brent and terminally ill Merle Oberon find love while crossing the ocean. Binnie Barnes and Frank McHugh (reprising his role from One Way Passage) are great as Brent's crooked sidekicks. 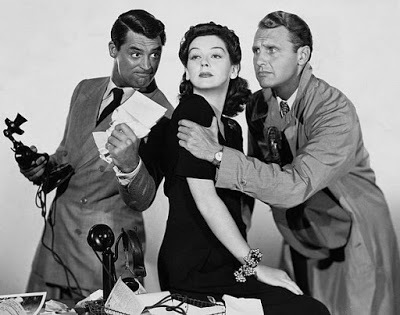 TCM's March spotlight on journalism movies brings a great late-night lineup of screwball comedy starting with fast-talking editor Cary Grant trying to lure ace reporter (and his ex-wife) Rosalind Russell back for one last story in His Girl Friday (1940) at 12:30 am Thursday. Next is reporter Clark Gable chasing down heiress Claudette Colbert in It Happened One Night (1934) at 2:15 am and desperate editor Spencer Tracy trying to stop a lawsuit from Myrna Loy in Libeled Lady (1936) at 4:15 am. 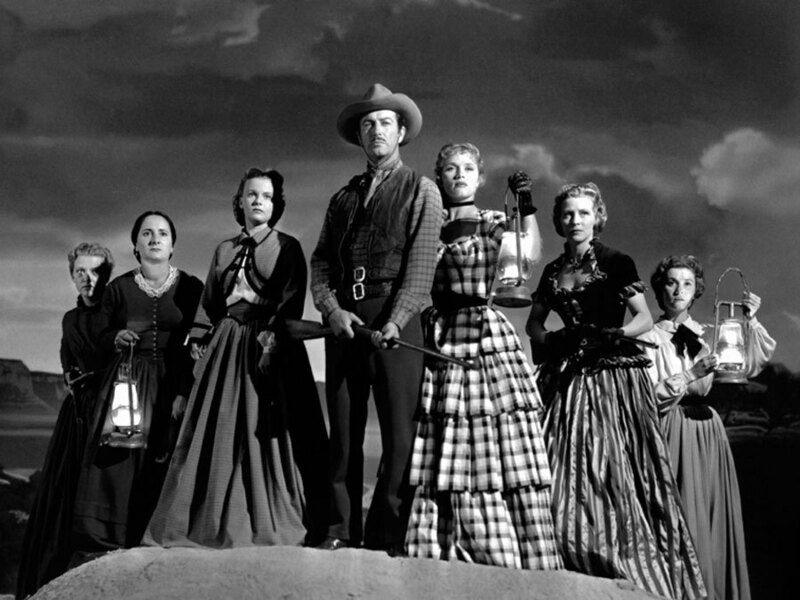 Westward the Women (1951) at 6 pm Friday, March 22: Director William Wellman's oater about a wagon train of women headed to California is one of the few Westerns to explore the lives of women on the frontier. Great performances all-around, especially from Hope Emerson as a no-nonsense widow and Robert Taylor as the crusty wagon master. The Sea Hawk (1940) at noon Saturday, March 23: Errol Flynn cuts a fine figure as a reformed pirate who helps Queen Elizabeth I (a magnificent Flora Robson) defeat the Spanish in this Warner Bros. swashbucker that was designed to gain sympathy for the British fight against Nazi Germany (the U.S. didn't enter World War II until December 1941). 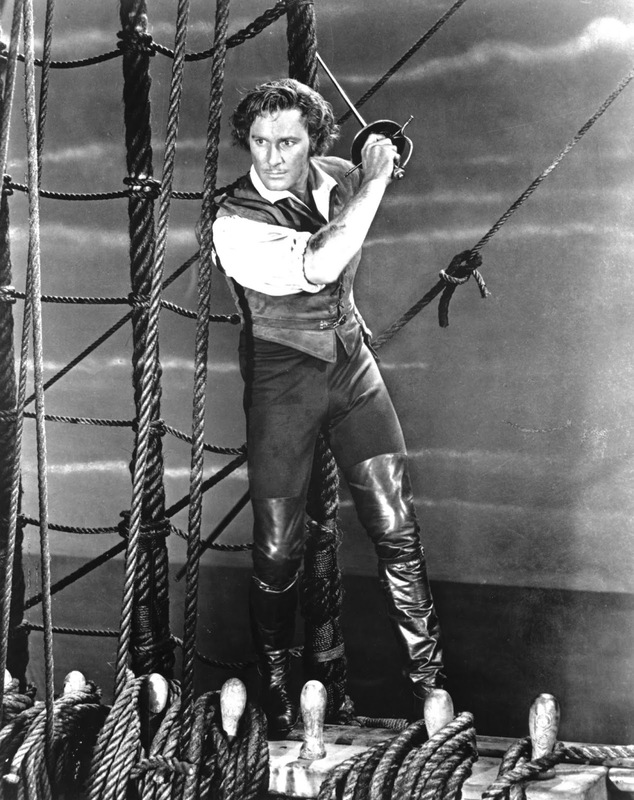 The Sea Hawk still holds up today, especially the pristine black-and-white cinematography from Sol Polito and Erich Wolfgang Korngold's rousing score. Lady in the Lake (1947) at midnight Saturday night/Sunday morning and 10 am Sunday: This Raymond Chandler adaptation about detective Philip Marlowe's search for the wife of a powerful publisher (Leon Ames) during the Christmas season is perhaps old Hollywood's most unusual noir. 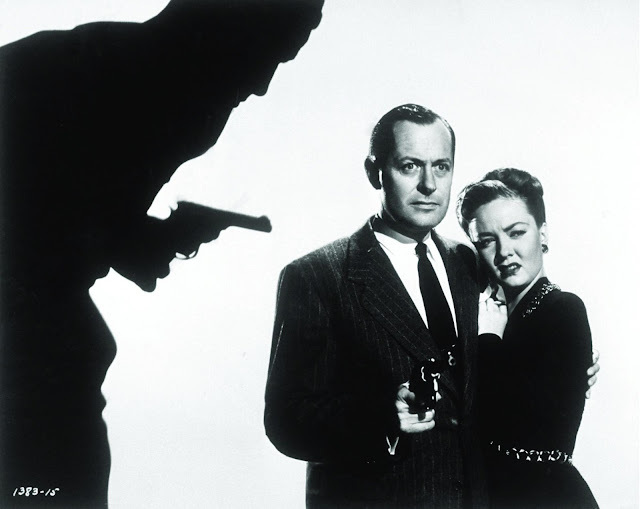 Director/star Robert Montgomery's decision to film this from the first-person point of view doesn't always work, but the film is still essential viewing for noir/Chandler/Montgomery fans and Audrey Totter's many facial expressions are priceless. 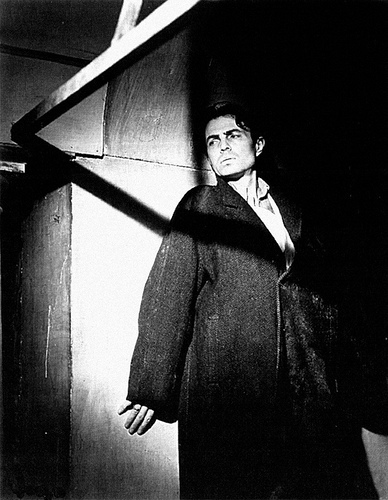 Odd Man Out (1947) at 10 pm Sunday March 24: This suspense classic about an Irish rebel's run from the law made James Mason an international star and solidified Carol Reed's reputation as the leading director of British noir. This film also burnished the reputations of future Long John Silver Robert Newton and future Doctor Who William Hartnell. It looks like TCM wants me to start bawling on Wednesday with All Mine to Give and then when I have recovered, wake up to 'Til We Meet Again. I'll have to fight through the tears to get to The Sea Hawk on Saturday where my courage will be renewed. Thanks for the mention of Another Part of the Forest. It was seldom-seen for years and TCM should be proud of bringing it back to the forefront. Another Part of the Forest deserves a TCM comeback much like Too Late for Tears and Christmas in Connecticut.